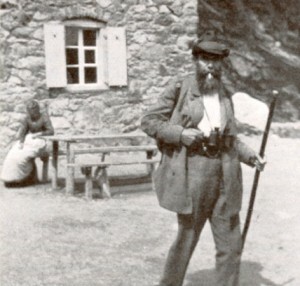 On the 27th of March 1845 at 4 pm Wilhelm Conrad Röntgen sees the light of day in Lennep. As the only child of wealthy cloth merchant Friedrich Conrad Röntgen and his wife Charlotte Constanze he is raised in the Dutch City of Apeldoorn, where his family moves three years after his birth. 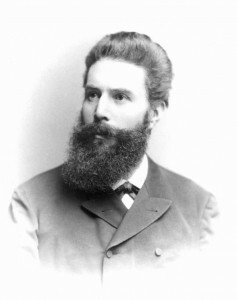 Röntgen attends several schools and then enrolls at the Swiss Federal Polytechnic School in Zürich. He obtains his diploma as a mechanical engineer within three years and completes his final examinations with top marks. Röntgen prepares his dissertation with the title „Studies on gases“. Inspired by the diligence and ability of his protégé, Prof. Dr. Kundt takes him along as an assistant when he receives an appointment at the Julius Maximilians University Würzburg in 1870. On the 19th of January 1872, Röntgen marries Bertha Ludwig in Apeldoorn. They have been a couple since his student days in Zürich. Bertha is the daughter of the university-educated innkeeper in Röntgen‘s favorite pub „The Green Glass“. In the same year Röntgen follows Kundt to the recently founded Reich University of Strasbourg. Unlike in Würzburg, the Professorial Council of the Department of Mathematics and Science grants him the right to apply for a post-doctoral position in experimental physics after two years of activity as an assistant. Following his appointment as a professor, the young Röntgen rapidly attracts the attention of several universities. The first to employ him is the Agricultural Academy of Hohenheim. But the financial resources available for his department are limited and Röntgen feels uncomfortable, having been spoiled in this respect during his time in Strasbourg. 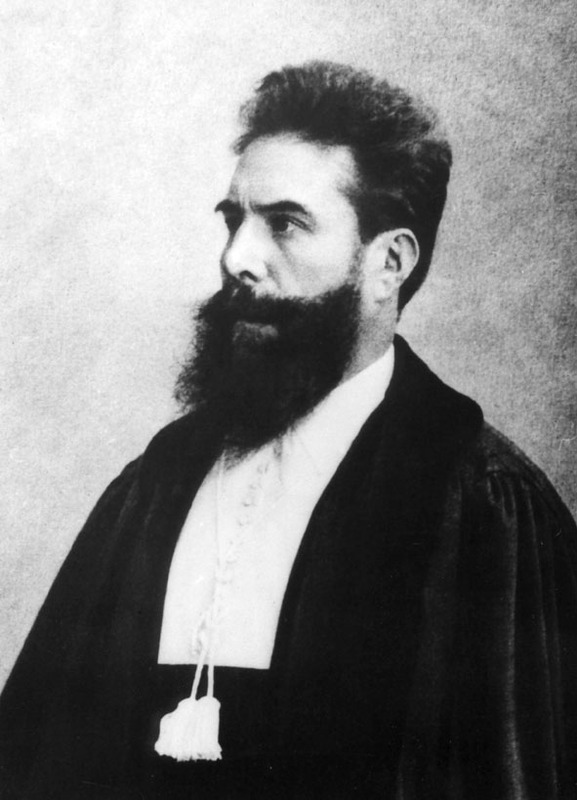 When his mentor August Kundt supports him for a position as second physicist in Strasbourg, Röntgen makes an early return in 1876. Over the next few years they jointly publish a series of scientific papers that gain a high level of recognition within the scientific community. Röntgen responds to a call of the University of Gießen, where he finally finds professional satisfaction after the University restructures and extends the department to suit his wishes. After having turned down offers from the Universities of Jena and Utrecht, Röntgen accepts the position of Professor for Experimental Physics and Director of the Institute of Physics in Würzburg. He will work here for 12 years. In Würzburg, Röntgen begins his research on cathode rays and their effects. During one of his experiments in a darkened room his eyes fall on brightly fluorescent crystals that happen to lie next to the cathode ray tube. He attributes this phenomenon to a kind of rays so far unknown, which he calls, X-rays. Only after tireless further investigations does he publish his discovery on the 28th of December. This will soon become a sensation. 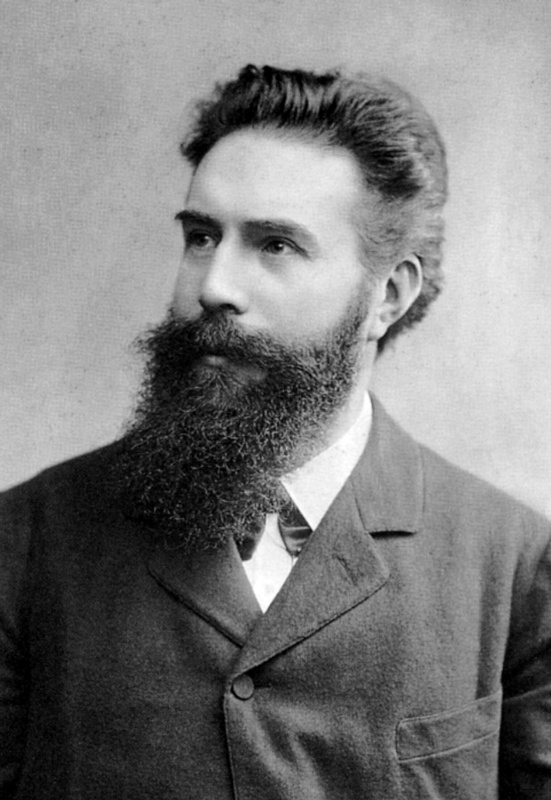 Following an invitation by the Physical-Medical Society of Würzburg, Röntgen gives his only public lecture on this topic on the 23rd of January 1896. 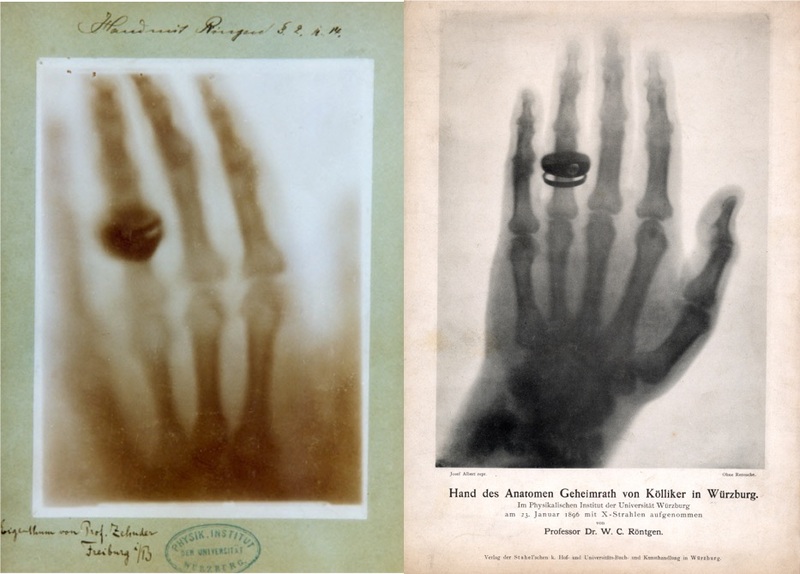 During the presentation he performs an X-ray of the hand of the anatomist Albert von Kölliker in front of the audience. Von Kölliker then suggests to rename the X-rays „Röntgen“-rays. The audience endorses this enthusiastically with a standing ovation. The Ludwig-Maximilians-Universität appoints Röntgen to the significantly larger Institute of Physics in Munich. Röntgen therefore leaves his beloved Würzburg. 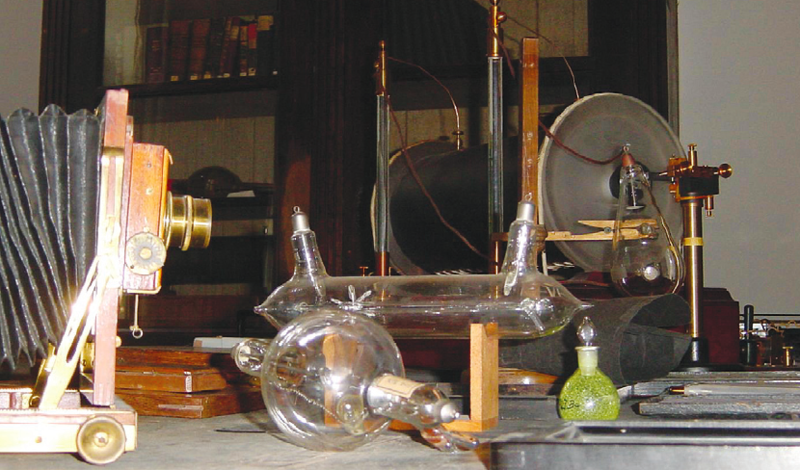 There, together with his pupil Abraham Joffé, he studies the physical properties of crystals. 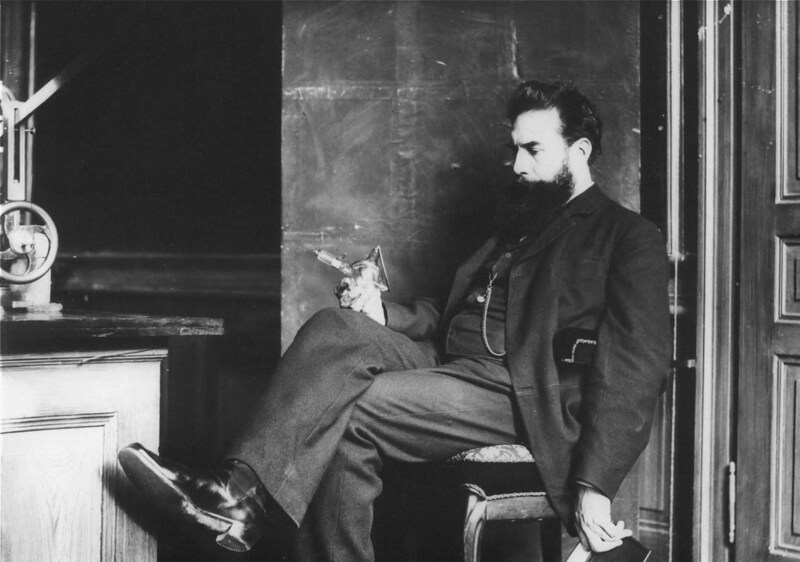 Five years after the discovery of x-rays, the Nobel Prize committee honors Röntgen‘s achievement with the award of the first Nobel Prize in Physics. The Swedish Academy of Sciences invites him to Stockholm for the inaugural ceremonial awards of the Nobel prizes. 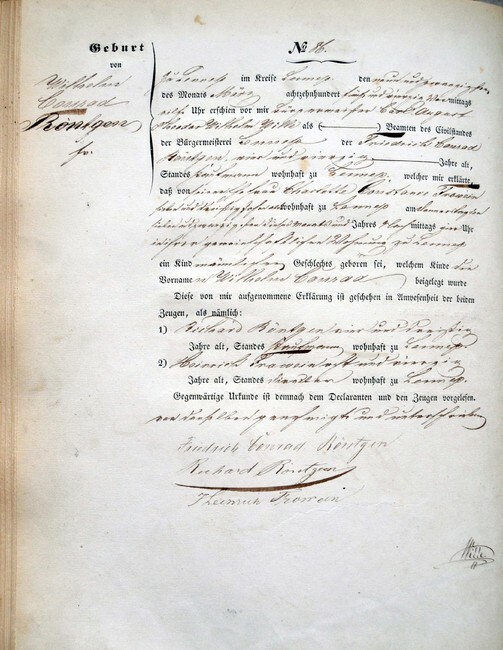 On the 10th of December, Röntgen receives the diploma and a gold medal from the hands of the Swedish Crown Prince, followed by a sumptuous dinner. However, by the next morning, Röntgen is already on his way back to Munich and leaves Stockholm without giving a speech like the other laureates. 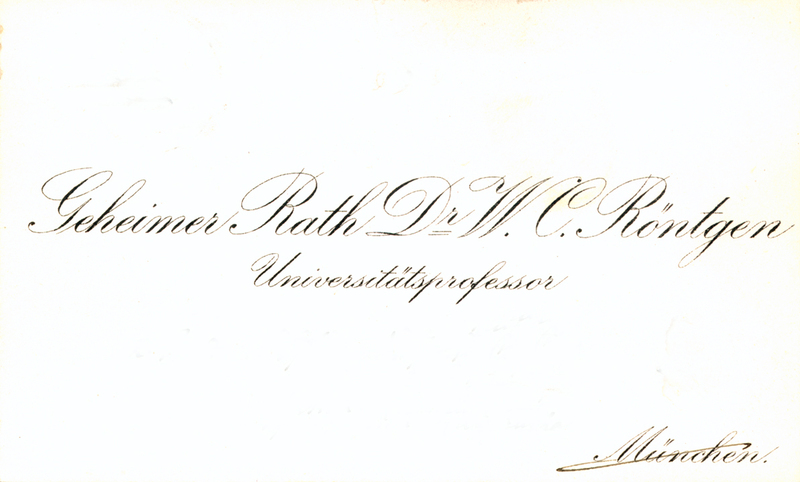 Röntgen actually applies for Emeritus Professor status in 1912, but a year later he refrains from this plan. 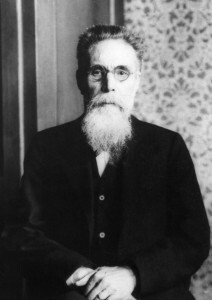 Until the 1st of April 1920 he continues to teach at Munich University. 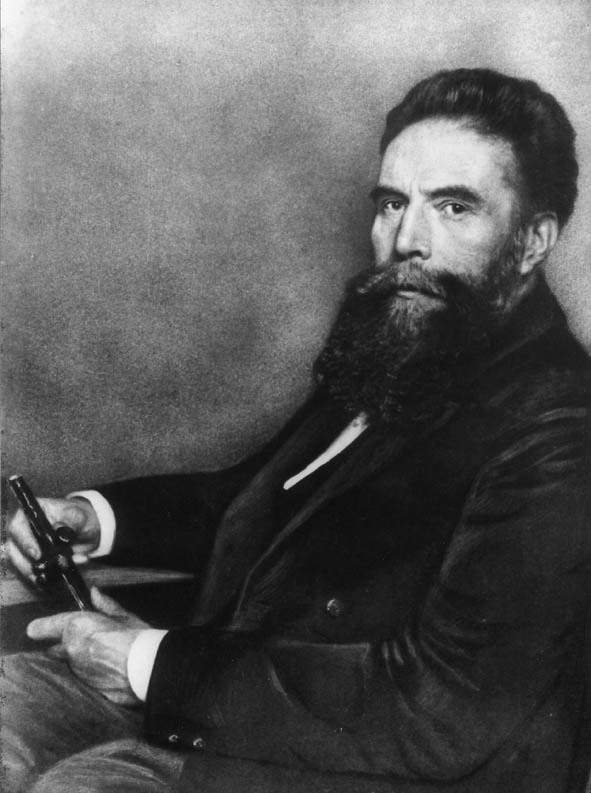 On February 10th, 1923 Wilhelm Conrad Röntgen passes away at the age of 77. His ashes are laid to rest in Gießen next to the grave of his wife and his parents.